Give your clients a safe, secure, and easy way to pay you online via debit or credit card. 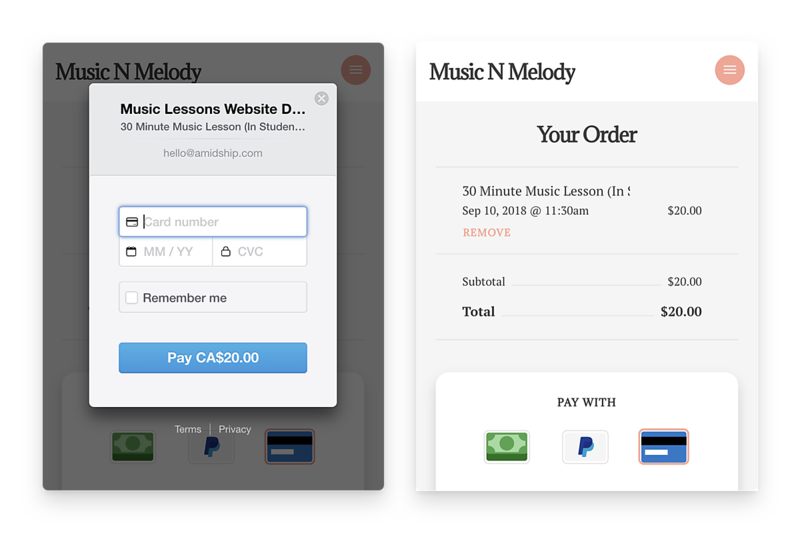 Set up automatic recurring payments for repeat lessons. Say goodbye to late payments. Give potential students all the information they need upfront. 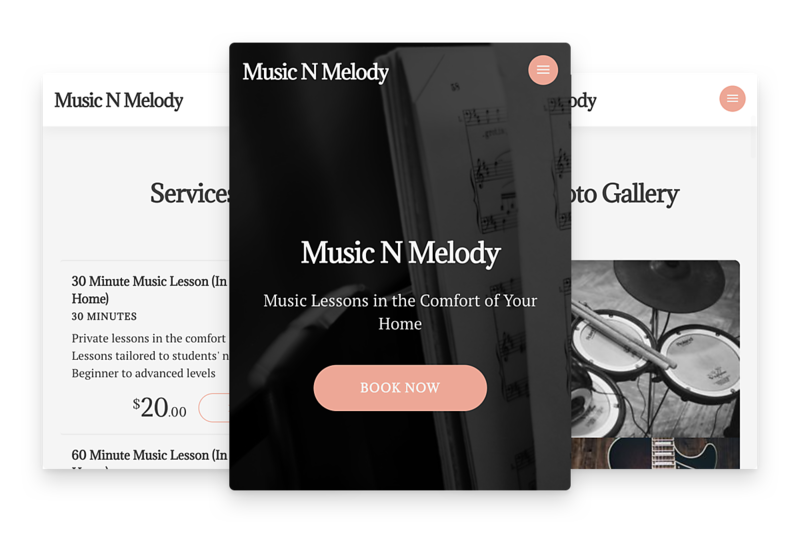 Share your experience and unique teaching approach through your professional website. Stand out from the crowd and grow your student base online. 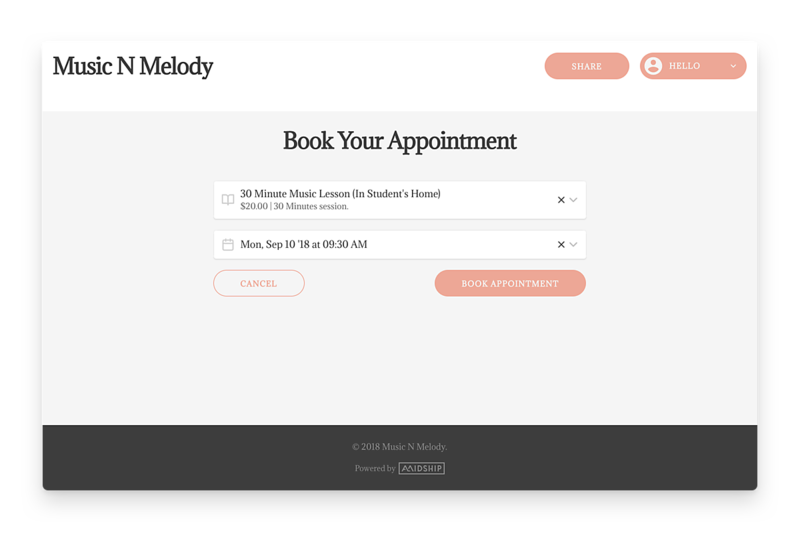 Spend less time scheduling, and more time sharing your love of music. Save time by setting up automated recurring lessons for your repeat students.